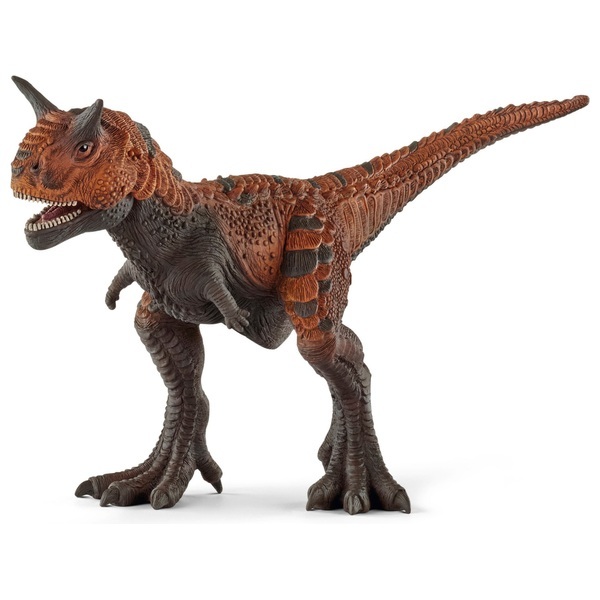 The name Carnotaurus means ""meat-eating bull"". Carnotaurus is a carnivorous predatory dinosaur from the Upper Cretaceous. It lived approximately 70 million years ago. The only specimen ever found was excavated in Argentina. The Carnotaurus had a length of 9 metres and an estimated weight of 1.5 to 2 tons. His jaw was more rounded than that of his relatives, and his teeth looked like bended knife blades. Surely it was one of the most dangerous predators of its time.